But like every country in the world these factors don’t define it. What defines Venezuela, is its resilient, friendly and passionate people. It’s incredibly unique and diverse landscape. And the lesson that it teaches all that travel there. Venezuela is a master class in open mindedness. If you give it a chance, It will surprise you in some of the most profound and incomparable ways possible. Venezuela has been at the very top of the list of places I have wanted to visit in the last few years. I have to admit a big part of my obsession with Venezuela was that almost 100 percent of the people I spoke to, told me not to even go near the border, let alone inside the country. I was told to expect to be kidnapped, murdered or at the very least robbed. The “forbidden” country of South America, the opportunity to see Venezuela, at a time when no one was supposed to see Venezuela was too intoxicating an adventure to pass up. But, I had a bigger goal, a fascination that lay outside the “dangerous” cities. 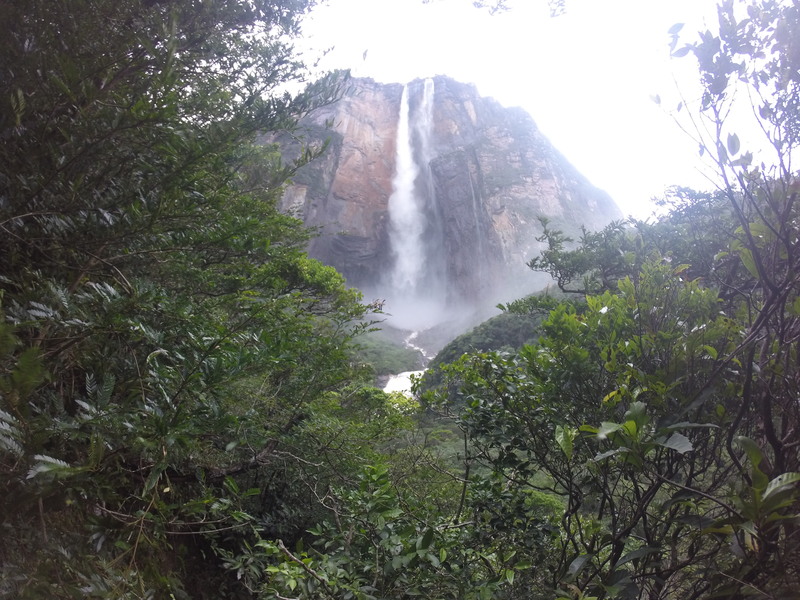 In the middle of the table top mountains of Canaima, stands Salto Angel (Angel Falls). The world’s tallest waterfall, earthy red water falls nearly a kilometre before turning into a blanket of mist that covers the valley, and eventually feeds the rivers below. 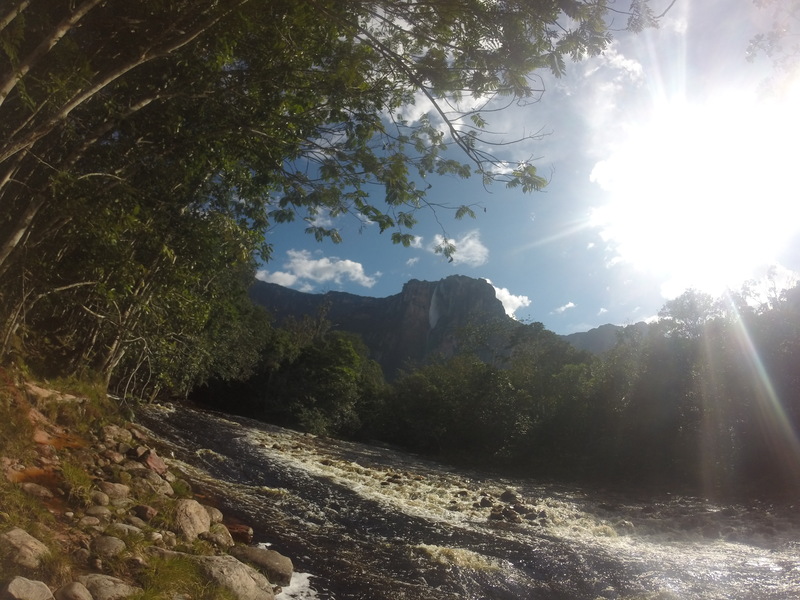 It’s borderline impossible to organise any tours or transport outside of Venezuela so I set myself ten days to make it to Angel Falls and get back to Colombia. 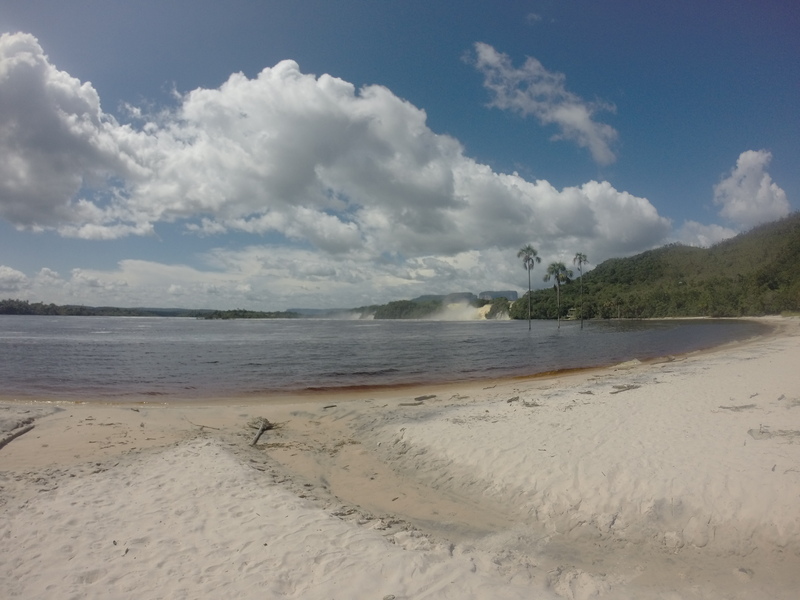 I decided to travel overland as it seemed to be the cheapest and safest option. 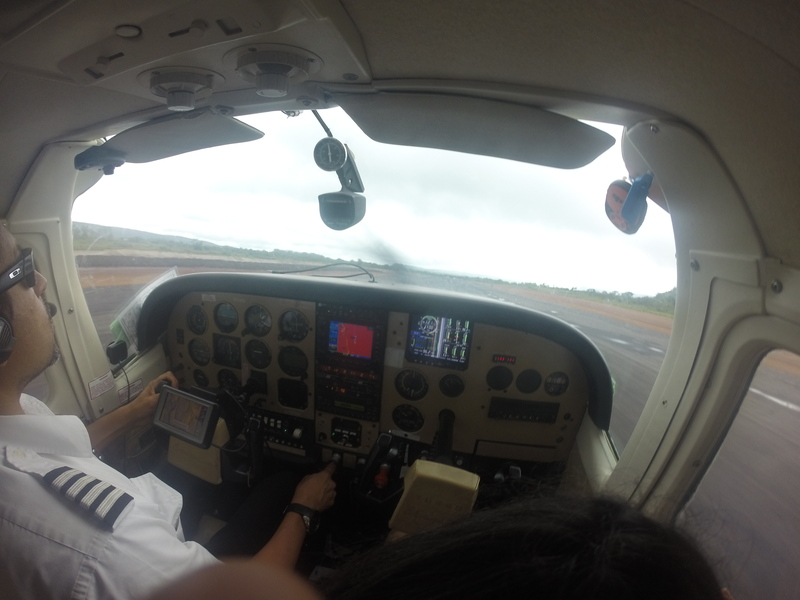 Arriving via plane from Bogota in the border town of Cucuta I was full of nerves and excitement, my first stop for the night, over the border, was a city called Merida, and I really wasn’t sure how I was going to get there. Getting into Venezuela can be kind of tricky, if you are looking to try it you can read my guide on how to get across the border safely and easily here. At the border I exchanged some US dollars for Bolivares I got about 450 bolivares to the dollar. The average Venezuelan wage is around about 6,500 Bolivares a month. Later I would get an exchange rate of 650 to the dollar, meaning that the average Venezuelan brings home roughly ten US dollars a month. #Note these rates are as of August 2015 and may have changed. Needless to say Venezuela is cheap, unbelievably cheap. 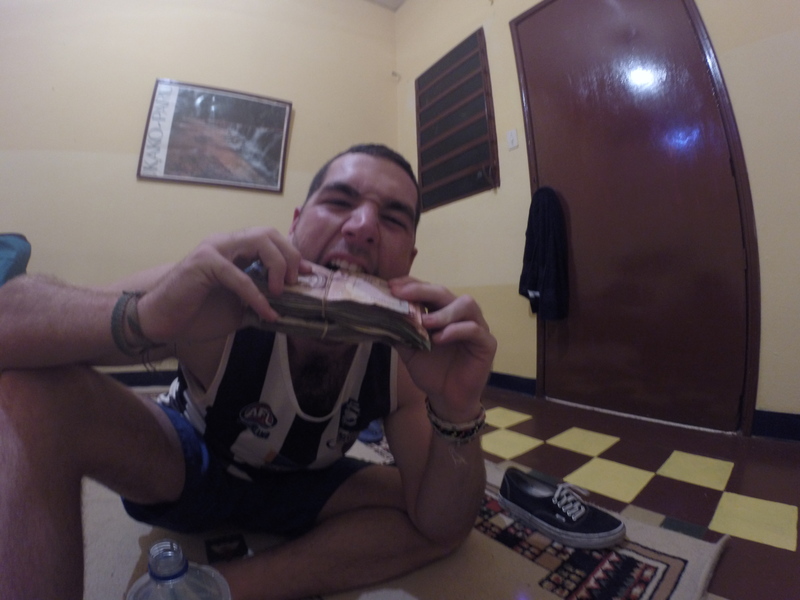 Good hostels range from 50 cents to $1.50 a night. Food and drinks are literally cents and I managed to purchase the some of the finest rum I’ve ever had the pleasure of drinking. (aged for twelve years), for just $8. I felt like an eccentric billionaire reaching into my bag and grabbing fistfuls of my seemingly endless piles of notes, handing them to shopkeepers, beggars and anybody who asked. I spent about $70 USD in my ten days in Venezuela on accommodation, food, drinks and transport and I was most certainly not left wanting. From the border I took three seperate buses to eventually arrive in Merida, each bus station seemed to have their own unique way of operating, and I was thankful my Spanish was good enough to eventually understand and navigate my way there. 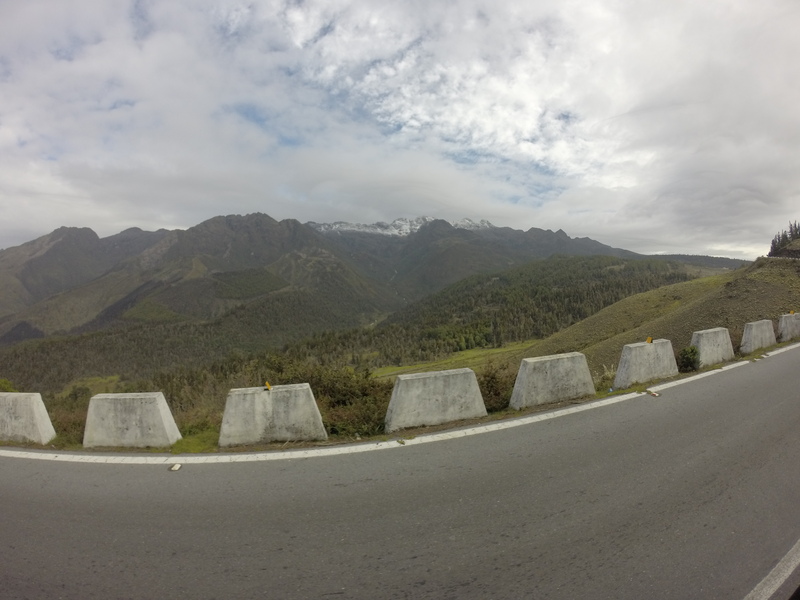 Merida is nestled in the mountains, touted as the Adventure capital of Venezuela, there’s bridge jumps, paragliding, hiking, mountaineering, biking and more. On top of that it’s a student town so naturally it has its nightlife benefits. After a day in Merida, I set off to navigate the nonsensical bus system and attempt to reach Ciudad Bolivar in under two days. I had a lot of trouble trying to understand what was going on, buses arriving whenever they felt like it, despite specified departure times. Certain service inexplicably cancelled completely, with no explanation, or warning to the hundreds of people waiting in line for them. People selling tickets for buses that may or may not be available or even turn up. It was utter chaos, but I kind of liked it, everyone was friendly and patient and just kind of rolled with the punches. Eventually after 30 hours and 4 different buses I did finally make it to Ciudad Bolivar. At this point I still had not met any tourists except for one Colombian lady in Merida, it’s a sort of surreal feeling traveling across half a country without meeting anyone but locals. Despite how hospitable the Venezuelan people were I couldn’t help but feel a little isolated, as city after city I was consistently the only foreigner. 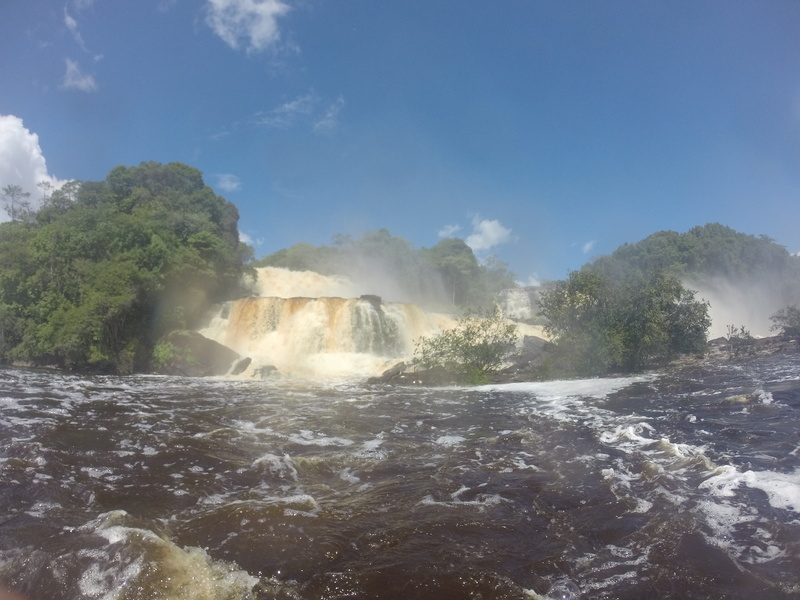 Ciudad Bolivar is likely the starting point for all tours to Angel Falls, as Canaima is pretty much only accessible via light aircraft, and Ciudad Bolivar has the closest airport. It’s a quiet city which still retains most of it Spanish colonial architecture, but there really isn’t much to do there. 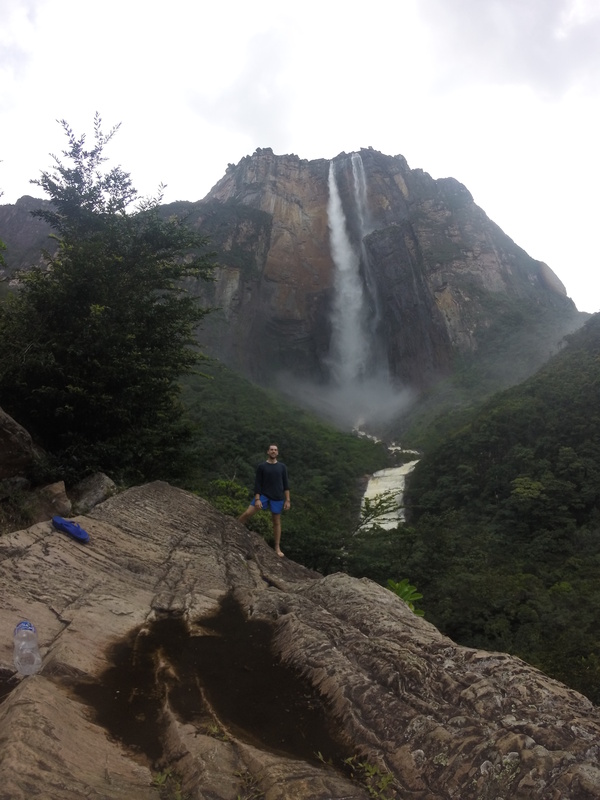 After one day spent exploring I was finally off to Canaima and only days away from finally standing beneath Angel Falls. 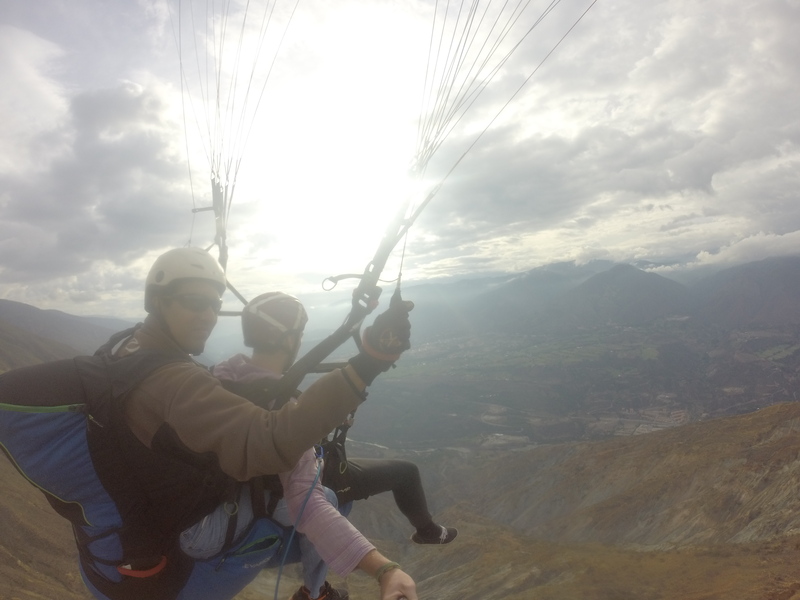 I sat squashed inside a five seater aeroplane, it was my first time in an aircraft smaller than a jumbo jet so I was quite excited to be rattling through the air at 2000ft. When we finally landed I heard the unmistakable accent of another Australian, as I turned the corner I was finally greeted by other tourists. There was about twenty people standing there that weren’t Venezuelan I’ve never been so excited to see other tourists. There is a certain comradery when you do finally cross paths with other travellers in Venezuela. Everyone seems to be just as lost as you, no one knows how anything works, or where to go next. The complete lack of information on the internet only exacerbates the problem. I found myself swapping tips, debating rumours and folk tales, such as the fabled 10 dollar flights apparently available in Caracas. 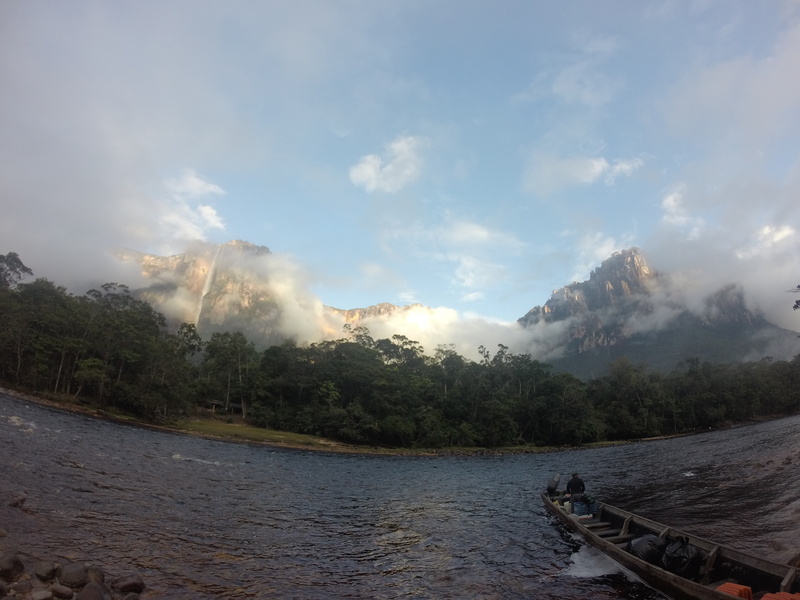 Meeting other travellers you slowly start to piece together your own picture of Venezuela. 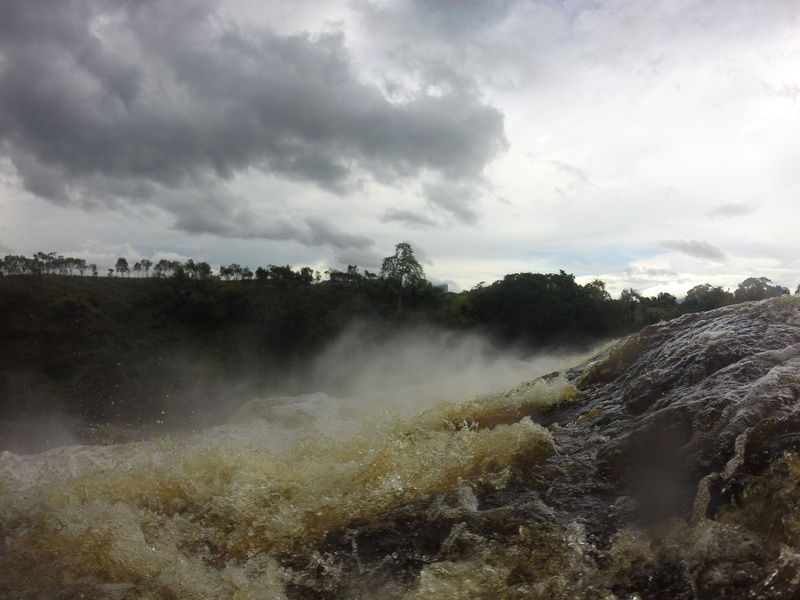 The morning we arrived we headed, on motorized canoes, for four hours through a maze of rivers to the beginning of the Salto Angel Trial. The entire national park was stunning, mile after mile of untouched wilderness, with huge table top mountains erupting out of the trees in every direction. Water coming seemingly from nowhere, plummeting off the edges of the mountains and feeding an immense system of amber coloured rivers. We made our way through the rainforest catching glimpses of the falls through clearings in the tree, until finally we came to the foot of it. We all held our breaths, as everybody went silent. 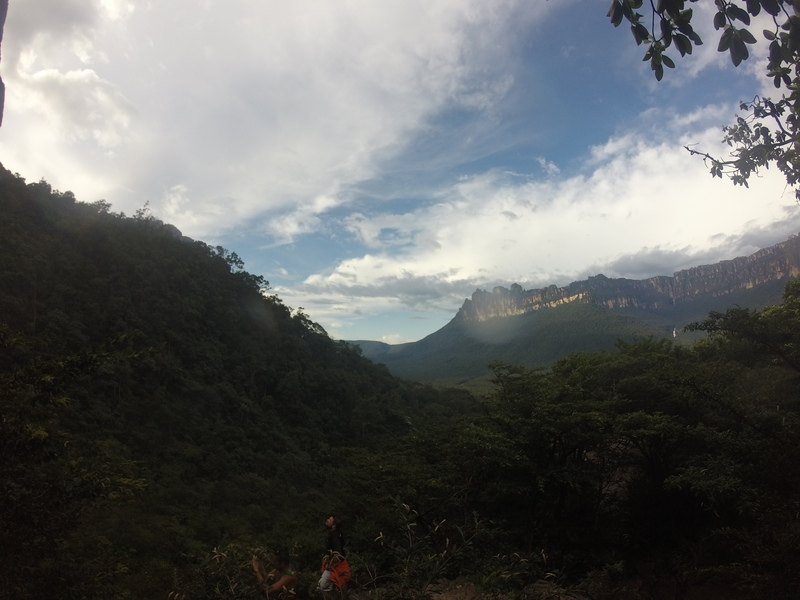 We all literally just sat there in silence for a couple of hours just watching and listening in awe, in the middle of a Venezuelan rainforest enchanted by the impossible spectacle in front of us. 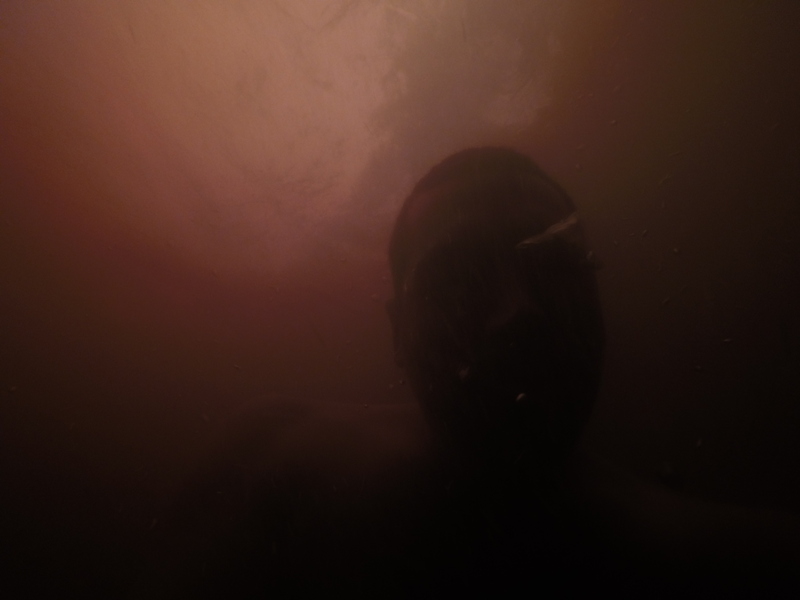 The sound of the amber water crashing and encasing the valley in front of us was only broken by the pants and excited chatter of those yet to be silenced by it. The setting sun was the only thing that could break the spell as we realised we needed to make it back to camp before dark. For me It wasn’t just about seeing a waterfall, it was the journey of the getting there. I stood in disbelief as my dream of standing in front of Salto Angel had manifested itself into reality. I felt an overwhelming sense of achievement. 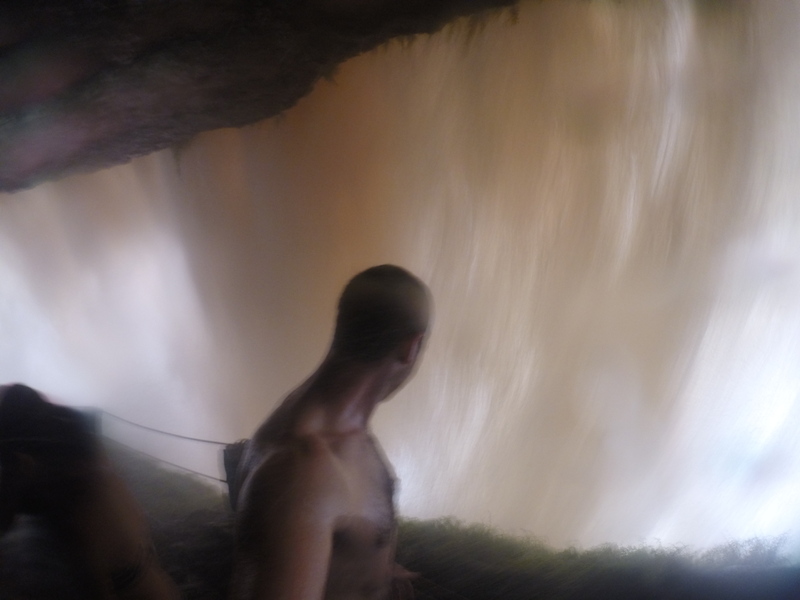 That’s all I needed that brief moment under a waterfall, to make all the buses, all the worry and stress, all the planning and confusion, uncomfortable sleeps and truck stop dinners worth it. I stayed a few more days in the park traversing the totally unique landscape. Minerals tinge the water amber, and watching the sun beam through a red waterfall as you stand under it feels almost alien. Trees that bleed petroleum, can be lit as torches as you walk. 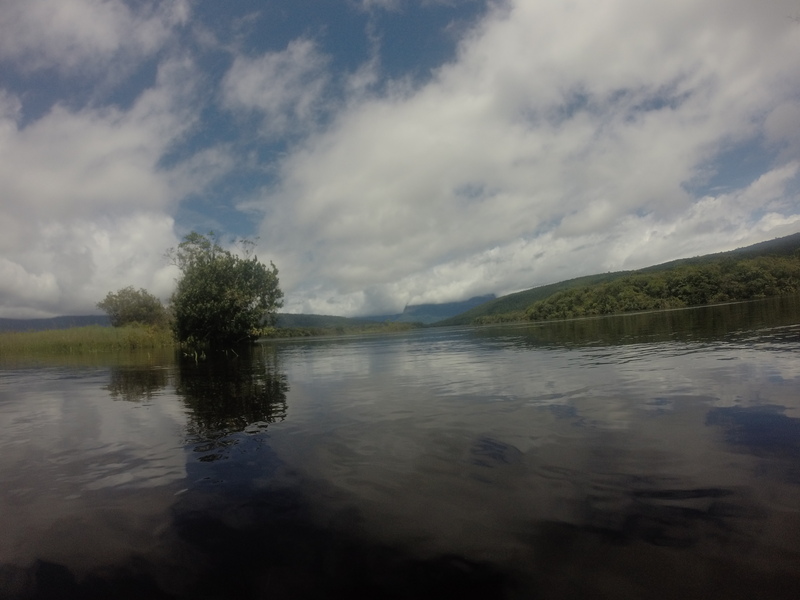 The table top mountains seem to create water from nothing, spilling it over their sides, and the jungles inexplicably open up into wide savannahs. There is no place quite like it. Venezuela is, I think, the craziest place I have ever visited. I never felt unsafe despite what people said, but if it wasn’t for an understanding of the Spanish language I perhaps would off found myself quite lost. The bus systems are broken, taxis literally never want to pick anyone up, it can be hard to find food that isn’t Empanadas or Arepas, and finding information or someone who even speaks English can be near impossible. But Venezuela is so much more than these short comings, you might have to work a bit harder if you travel to her, but she will reward you in a way only Venezuela can. The locals treat you like a local, they don’t know how else to treat you. In the face of adversity the people remain generous and hospitable. I spent between 60-70 hours on buses in the ten days I was there and though I would of rather not, I got to see the incredible landscape of Venezuela pretty intimately. It was absolutely stunning, Mountains, forests, small colonial towns it can hang with the best of them in South America for natural beauty. Though Venezuela’s real treasure is that it opens your mind, not just to the possibilities that lie within the country, but in everywhere you go. 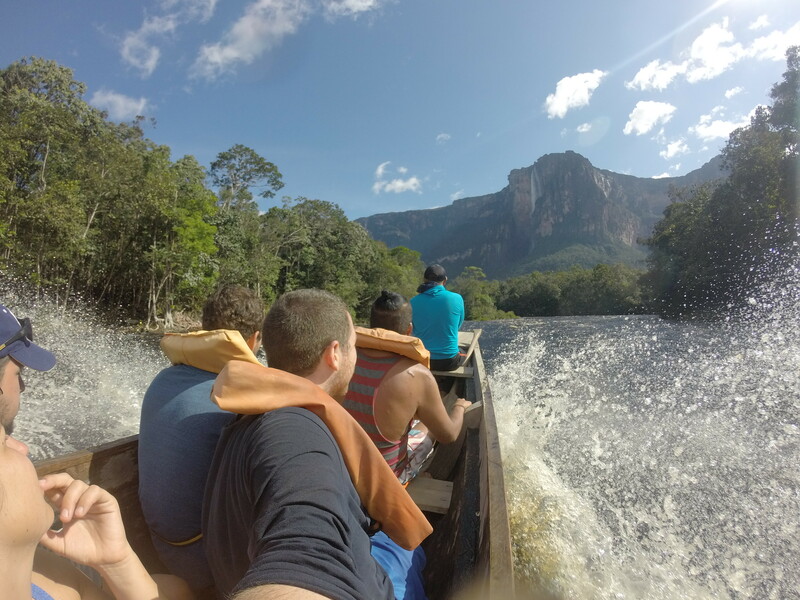 People say Venezuela is dangerous, and parts of it undeniably are, but for the most part, and for the best parts, I felt completely safe and welcomed, and It wasn’t just me. People do travel there, despite what others say, and they have the same incredible stigma shattering realisation I did. It’s far easier to believe than to question, or to wonder. But it’s far more rewarding to know for yourself. Venezuela taught me that Life is beautiful but it’s short, it’s meant to be, and there is no time to not do what you want, because someone who was afraid, told you, you couldn’t.